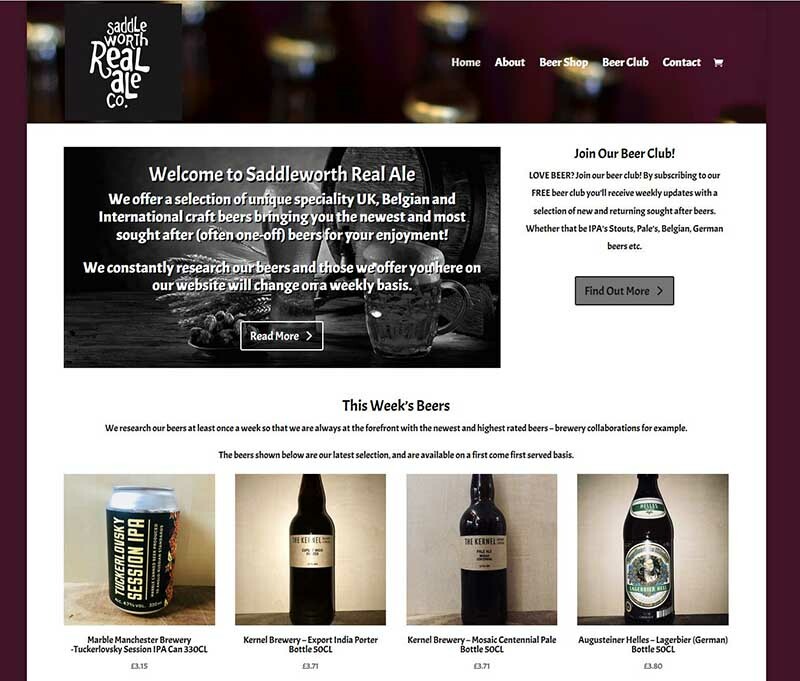 Saddleworth Real Ale is back with a New Online Shop! Who remembers the lovely beer & cider shop that used to be above the Wine Vault in Uppermill? Well they are back with a new online shop (designed & built by myself!) where they are selling unique speciality UK, Belgian and International craft beers. The beers are from micro-breweries and will change almost weekly. And if you’re a regular ale drinker then consider joining their beer club (complete the form on the website). If you live in Saddleworth or Marsden then delivery is FREE! (Minimum spend applies).